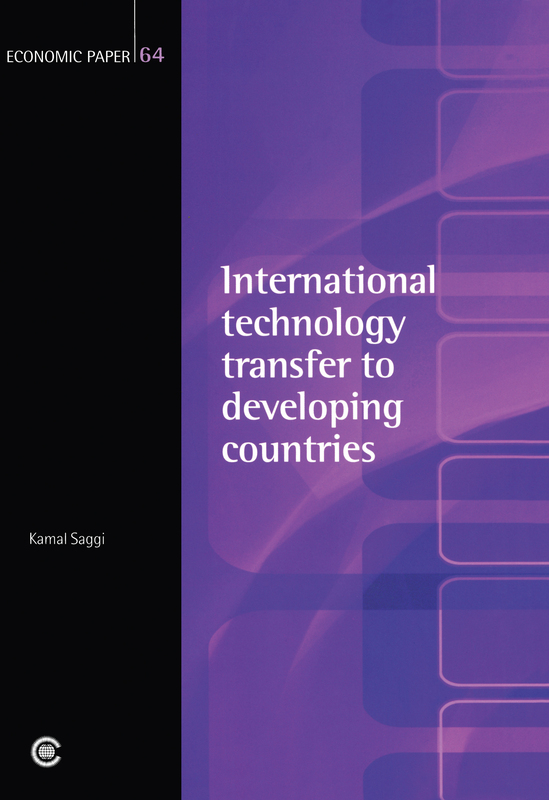 The WTO Working Group on Trade and Technology Transfer was established with the aim of encouraging technology transfer to developing countries. This section outlines the Group’s Findings for increasing flows of technology. Kamal Saggi is Associate Professor and Director of Graduate Studies, Department of Economics at Southern Methodist University, Dallas, Texas, USA.